Best Bangalore Interior Designer - Interior designing good for carrier? Is Interior designing a good option for carrier? Being one of the Best Bangalore Interior Designer, Magnon Interiors can explain you about future of selecting Interior designing as carriers. Magnon Interior is a group of experts in the field of Interior designing and we have been able to give bright future to many talented youth interior designers as well as we have provided them with Internship programs and also our best advices in the field of Interior designing. Interior designing is not a new field to us, but the problem is that there is still lack of information to many of the region of the world. As well as there is lots of misconception on the same. For instance, Interior designing is still believed by many of the people as expensive as it is only meant for rich people. Interior designing is a growing Industry with lots of new trends and fashion. Interior designing is a field which is always growing steeply each and every day without any decrease in the demand. Until the fashion survives in the world, the Interior designing will survive. But for an Interior designing company to survive they must be flexible enough to bring out latest trends. And one of the important facts is that the Interior designer must have a good creativity for the survival. As well as interior designing is a field with constant changes in trends. 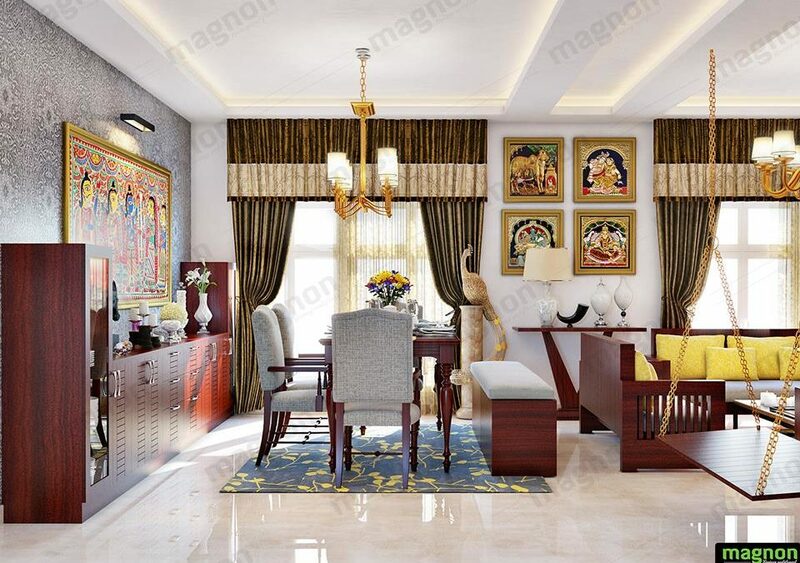 We at Magnon were able to mark ourselves as one of the best interior designer in Bangalore with bringing out new changes and adopting new trends. Furthermore, while we design an Interior we hear the suggestions of the clients and sketch our conceptions on finalizing the project design. Bring home with one of the best fashionable interior designing and make your dreams of Interior design come true with Magnon. The Interior designing is meant for persons who are passionate in design and arts. This field of carrier can be simply referred as sketching the space for design and making out drawing which is according to client’s desire. Designer should always have to communicate closer to the customers for bringing the best design for the customer. Success of Interior designing is all based of like and dislike of the customer. For Instance, we Magnon made all projects successful with all efforts taken by our experts and trust that is kept on us; thus, we are still one of the best interior designer in Bangalore. While being an Interior designer, a person is said to be designer while he/she spends budget accordingly and have a good knowledge on various materials to be used. Moreover, people who have an eye for detail and enjoys solving puzzles would be an ideal interior designer. Although Interior designing is not a new platform it is still not been availed by most of the people due to some misconception. Interior designing has one main misconception on the cost as it is believed that interior designing is only done for person who is rich. Interior designing is shaping the look of an area to a wonderful creation for the client. There is lots of area for designing the interior in a building such as workplace including offices, industries or factories etc and residential area such as houseboats, flats, house etc. And also commercial areas such as retail shop, warehouse, shopping mall etc. Furthermore, in leisure time areas such as cinema theaters, gym etc and also in hotels, hospital, educational area such schools, colleges and other training centres. Wherever there is a building at least some part requires interior designing. For being best interior designer in Bangalore, we have systematic process before starting project. There is lots of process in interior designer. Firstly, Interior designer meets with clients and discusses needs of client, budget and time available to complete project. Initial ideas are presented to clients as well as visiting site. After determining client’s needs, Interior designer needs to research what he/she wants to do with that space. The interior decorator should consider building regulations, planning considerations etc. while researching. Later a proposal needs to be created which will include producing sketches and a detailed outline of what interior designer plans to do with space, as well as patterns and designs that he/she intends on using. Costs and timescale are then monitored to make sure that everything is going according to plan. Next step for interior designer is to select a group of contractors and suppliers based on budget. After the suppliers and contractors are selected, work on the project begins and the onsite supervision starts. When the work is complete, the client is shown the final result as well as updating them on the use of the space; the maintenance needed as well as any safety issues that they have to keep in mind. If the client has any problems or is not happy with the work done, the interior designer rectifies this. Over the years this field has become more specialized and employers give more importance to academic and professional background. Studying engineering or architecture before specialising in interior design can be helpful. Many design schools offer interior designing courses and some offer masters in fine arts with a specialization in interior design. For the experience and good knowledge with internship for Interior designing students can come to one of the Best Interior Designer in Bangalore. As we have discussed this platform is always going to be on top with new trends and creativity. Bring home the best interior designing with our experts in designing your future home and make your family moments happier. Magnon Interior considers each and every projects as special and bring home the personality of the clients with their design. Contact with our representative for more or visit our nearby showroom.